Welcome to ICE (International Clinician Educators) Blog! Welcome to the ICENet Blog! This is for people who live in two intersecting worlds – clinical practice and medical education. The International Clinician Educators Network started in 2011 and is represented on 5 continents. (Click here to read about the goals of ICENet) Connecting Clinician Educators is the goal of this blog. In clinical practice, specialization is increasingly common – general practice, paediatrics, paediatric nephrology, paediatric transplant nephrology etc. The same phenomenon is starting to occur in medical eduation. Can you differentiate a clinician teacher, academic physician, education researcher, educationalist? Does it matter? 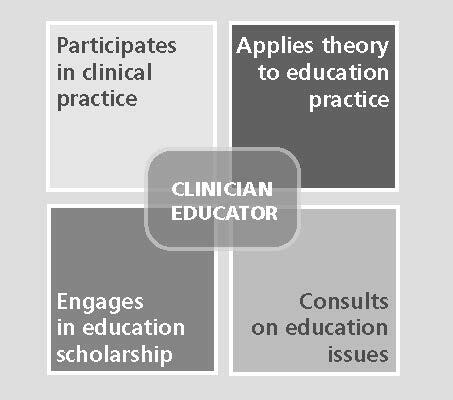 I’ve often struggled to define a Clinician Educator to colleagues and friends. While each university or academic organization seems to have some fuzzy definition, I’m not convinced that the global medical education community has settled on a definition. Our study concludes that academic leaders should consider actively developing the next generation of Clinician Educators to meet the challenges of 21st century health professional education. Do we need greater ‘specialization’ in medical education? What is the optimal training for Clinician Educators? C.E. needs a specialized training when taking such jobs. Understanding learners,helping them to achieve their maximum potential require a special set of K&S. Curriculum writing,teaching methods,assessment,remediation,the clinical learning environment,simulation,accreditation,CBME,learners in difficulties etc are all highly specialized areas .Furthermore,implementation requires lots of creativity and a very sound medical education background. I believe a CE requires a minimum of regular faculty development workshops that target such areas. An academic degree such as a certificate ,diploma,or a Master is highly desirable.